The Little Rock Technology Park desires to create the place, environment and collaborative community that generates, attracts and retains technology companies and talent in central Arkansas. Our Phase 1 development provides nearly 40,000 square feet of coworking, incubator, office and meeting space for Little Rock’s burgeoning technology industry. 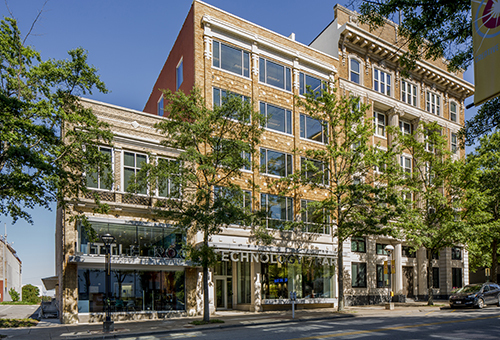 The buildings located in the 400 block of Main Street gives the local tech scene a sense of place while allowing growth as ideas turn to companies, products and services. The Phase 1 facilities are uniquely crafted to allow flexible growth as entrepreneurs and companies evolve. Open work spaces and configurable offices are designed to promote creativity and collaboration within and among tenants. 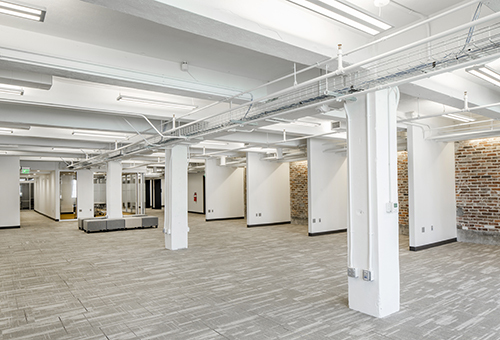 The 5th (3,784 rentable square feet) and 6th (5,112 rentable square feet) floors are designed for established technology companies interested in a long term lease as well as a presence around like-minded, dynamic thinkers and doers. Each of these floors contains two private conference rooms and break room. Parking is available on site in two Little Rock Technology Park-owned lots adjacent to the buildings. Leases are full-service and include 1 GB ultra high speed internet and various state of the art conference facilities are located throughout the building. Tenants are granted 24/7/365 access to the facility. 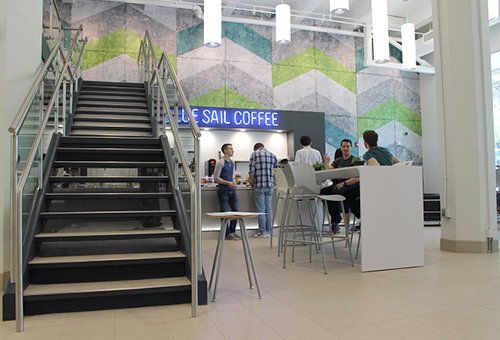 A retail coffee shop occupies the first floor and adds a great bit of energy to the space. Ready to take a tour or need more information?